Tip or Skip? Top 7 Beauty Tricks for Cancer Patients! Whether it’s a tip or something you can skip, this list will save time, energy and money. This is a special segment for women in treatment for cancer with tips that may also benefit your family and friends. I have compiled some of my favorite time-saving advice to help reserve energy with some great tips for a quick, polished look. TIP: Don’t believe everything you see. The changes that can take place in your appearance can come on quite suddenly and be very dramatic. Remember, we are seldom the best judges of our own beauty. Take a tip and skip the judgment. Look to a loved one to see the reflection of how beautiful and unique you truly are. If you are feeling extra fatigued, bring a chair into your makeup area. You can also brush your teeth sitting down. So skip standing! Hey, it’s your bathroom. Reserve your energy for your favorite activity, like a relaxing walk. With the loss or shedding of eyelashes, a natural barrier for dust or particles, the eyes can be particularly vulnerable to shimmery products. Opt instead for a nice matte color for a comfortable and classic look. Opt instead for my friend Terry: try a terry cloth robe in your bathroom instead drying off with a towel. The dryness you may be experiencing at this time will benefit from the hug of a robe instead of the tug of a towel. Once out to the shower or bath, sit on the chair you brought in to the make up room. Put on your favorite moisturizer and wrap up in a nice robe. You will be warm enough and will dry naturally. With the loss or shedding of eyelashes it’s a great time to add a blast of color to the mouth. This will offer some much needed moisture, with the added bonus of a bright, cheery color that brings balance to the face. SKIP: Covering all the bases. Let’s face it: we can all get into the beauty autopilot zone. You can skip putting makeup everywhere and opt instead for a couple swipes of color where it counts. Try a little few drops of foundation and just hit the highlights. A couple dots of crème blush and a well-chosen lipstick just might do the trick. A well-chosen moisturizer is your friend. Use moisturizer liberally. And don’t forget your head. With hair loss you can treat the skin on your head to help relieve dryness or tightness, so add some of your favorite moisturizer. You may find patting is more comforting than rubbing. Jeanna Doyle holds a master’s license in cosmetology and is a certified medical aesthetician and clinical oncology esthetician. She’s led an impressive career in medical, fashion and advertising. Most recently, she’s the founder of SuiteHOPE (Helping Oncology Patients Esthetically). She has also developed The HOPE Method, a training curriculum for providing corrective makeup on cancer patients. This is the first course of its kind approved by the International Society of Oncology Estheticians. 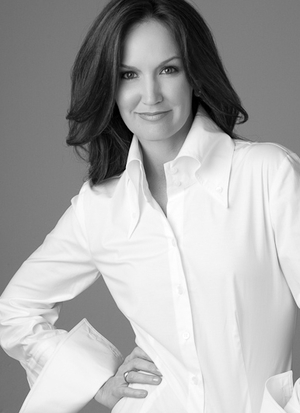 Jeanna is also a frequent contributor to the Cancer Knowledge Network as a corrective makeup expert. Thecla Kelly wrote re: Tip or Skip? Top 7 Beauty Tricks for Cancer Patients! This is fabulous information and I will share most definitely. Thank you. Jane Spouszta wrote re: Tip or Skip? Top 7 Beauty Tricks for Cancer Patients! I would love to receive helpful tips to cope with skin and hair changes as I Iundergo treatment. Unfortunately because of timing, classes re treatment/LGFB workshops I haven't been able to attent the last two and not sure if the others will clash as well. Linda Rhew wrote re: Tip or Skip? Top 7 Beauty Tricks for Cancer Patients! LoraPinter wrote re: Tip or Skip? Top 7 Beauty Tricks for Cancer Patients! Colleen Reisinger wrote re: Tip or Skip? Top 7 Beauty Tricks for Cancer Patients! I do the LGFB classes and would love any tips or info you could share with me to pass onto the cancer patients!!! Julie Coppinger wrote re: Tip or Skip? Top 7 Beauty Tricks for Cancer Patients! I am grateful for the tips! I feel more confident to help others. Linda Stokke wrote re: Tip or Skip? Top 7 Beauty Tricks for Cancer Patients! Having gone through surgery and daily radiation for four months for breast cancer myself, I know first hand the importance of keeping skin moisturized and healthy! I ended up with a 3rd degree burn under my breast and my radiologist and I went through many topical medications to heal the wound! I used MARY KAY's Satin Hands Hand Softener around my ribs, underarm and upper back area to keep my skin hydrated during treatment. I also had shedding of my eyelashes!! I'm blond/blue eyed/fair to begin with so when my lashes were gone it looked like my eyes were "lost" on my face! I used MARY KAY'S Lash & Brow Building Serum and my lashes grew back thicker than they had been before! I have also swear by MARY KAY'S Lash Primer! In addition to all the physical changes that occur during cancer treatment, there can be a feeling of isolation. When you are fighting for your life, and the people around you are going on with their lives, you can feel like you're getting left behind!!! My sister MARY KAY Beauty Consultants, my Adopted Director as well as my own Director kept in daily contact with me and made sure I didn't get down or depressed for more than a minute! In addition to my husband, children, close friends and family, knowing that my MARY KAY family was only a call away if I needed help was one of the most important aspects of my healing after cancer!! The simplest of gestures i.e., a phone call, sending a get well card, dropping off a meal can make all the difference to someone battling cancer!!! Know by you just reaching out and expressing your concern for someone going through cancer treatment means the world to them!!! Stella M. Kessler wrote re: Tip or Skip? Top 7 Beauty Tricks for Cancer Patients! As a new Ambassador I will be sharing pieces of information each week with my unit. The info on 7 Beauty tips for cancer patients will be the first installment at this weeks meeting. Even the comments from other directors will add to my sharings. Kelle Jones wrote re: Tip or Skip? Top 7 Beauty Tricks for Cancer Patients! Great tips for us to use to help us reach out! Debbie Silva wrote re: Tip or Skip? Top 7 Beauty Tricks for Cancer Patients! Here in Arizona there is an organization called "Don't be a Chump Check For Lumps" they will give money towards a wig for any women with cancer or hair loss of any sort. If you google this it will give you the information how to apply. If you need any help please feel free to contact me. I am a breast cancer survivor and they helped me. Throughout her life, Mary Kay Ash showed others how to live and how to give. She gave hope to women who lacked opportunity, self-esteem and financial support. Now her legacy of love lives on through The Mary Kay Foundation, which she began in 1996. Our mission is to eliminate cancers affecting women and to end the epidemic of violence against women. It’s A New Year – Let’s Make A Difference!